Based on "Monty Python and the Holy Grail," the spoof, "Monty Python's Spamalot," continues in Indianapolis through June 29 (Click here for show times and tickets) at the Athenaeum, 407 E. Michigan St. Apparently, according to those who read this column, there is something sorely lacking in my life having never seen any Monty Python film or Spamalot. Well, that has changed now. 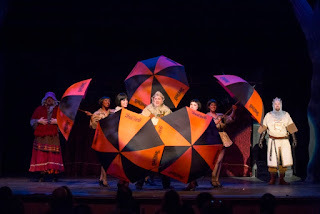 The review of the BobDirex production was a must for me ~ even without the insistence of hecklers on FB and Twitter. 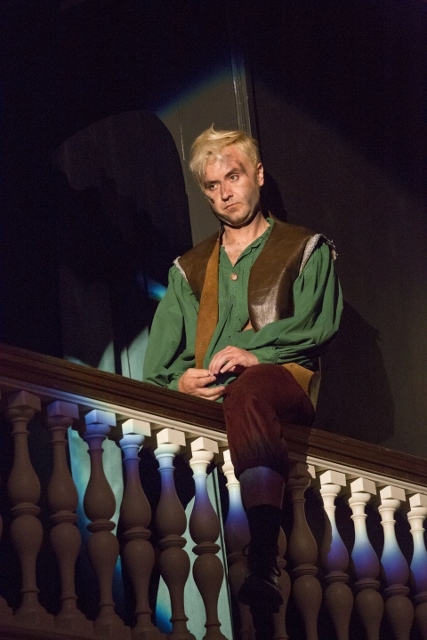 Simply because of the lineup and knowing Kenny Shepard is choreographing the comedy of blunders. The cast list is a who's who of Indy theater favorites: Charles Goad, Paul Hansen, Claire Wilcher, Sally Scharbrough, Dave Ruark, Danny Kingston and Pete Scharbrough. New to me (but worth keeping track of) is Ben Asaykwee of Cabaret Poe at Q Artistry. 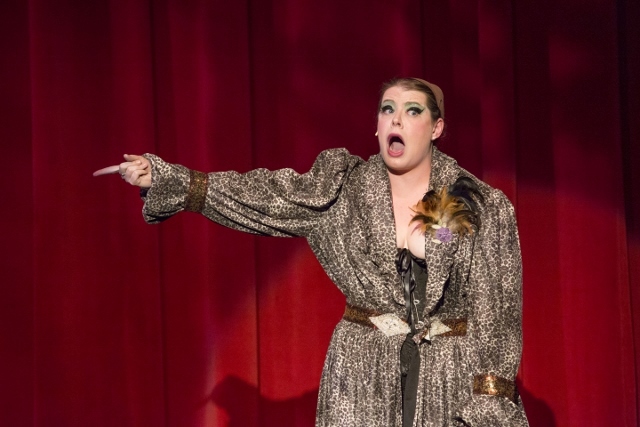 The cast, as a whole, is so enjoyable you feel as if you, the audience, is in on some fabulous practical joke and for a couple of hours are immersed in hilarity times 10 ~ at a silly, sophomore level. It is fun and portrayed with the professionalism one expects from this level of talent to produce. Each pairing ~ Goad/Hansen, Wicher/Goad, Asaykwee/Kingston, et al ~ plays out with supreme rhythm and without missing a beat, no matter what the circumstances. There is no need to highlight only or or two actors, as is usual, when the entire cast shines. 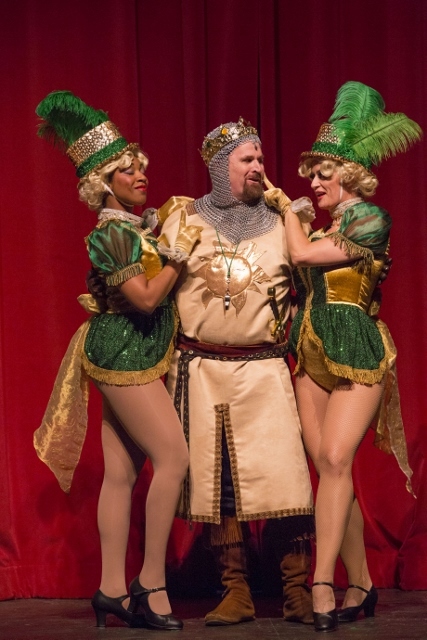 Bottom Line: Spamalot is easily going to rank in the "Must See" lists of everyone and I won't be surprised to see an encore production required. 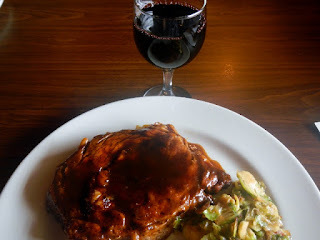 As the Chow Down Midtown Foodie Fest finishes this weekend, I want to put out there one more restaurant review because of two reasons: (1) That's one of the things I do and (2) This place impressed me that much. 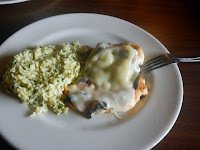 JT's Grille & Bar, 2210 E, 54th St., Indianapolis, is one of those, unfortunately, overlooked eateries. It is not flamboyant, not in the heart of Broad Ripple, and just sits quietly on a side street of Keystone Ave. Its nondescript exterior of what must, at one time, have been a Waffle House, will fool the diner looking for a catchy name or spectacular sign to draw their attention. No such thing exists. So, why am I impressed? I like the place. It is that simple. And... maybe why I like it so much is... it is simple. It doesn't try to be another nightspot with food or attempt to keep up with the latest trend in food or a poorly executed Midwest comfort food joint that a couple without a clue opened on a whim. It is not a steakhouse chain and seems quite comfortable with that fact. It is, quite frankly, great food in a boring shell. Sorry, JT's, but your outside doesn't come close to the quality of service, food and cleanliness inside. Do not misjudge the book by its cover, however, folks. JT's put all the details to the interior by renovating and redesigning it to a warm, homey feel. Over to the far side there is a sports bar ~ almost separated completely from the restaurant which is nice. 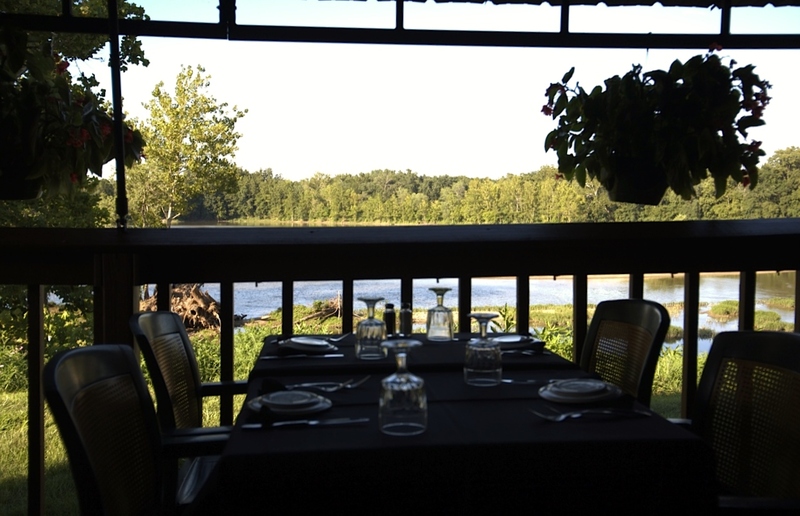 There is a sunny room with plenty of windows and several smaller areas perfect for group or family occasions. And it is so clean and uncluttered with friendly staff and comfortable seating. When you want a meal, sometimes you just want something uncomplicated. The Food: I love that the menu has a "For One" section ($25) for the single diner. What a way to consider all guests. They also had two options, $30 and $40, for two guests. A gesture that took extra time which gives you an idea of what they are all about there. 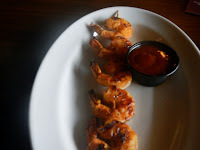 We got a sample from each menu to cover it all, including the Grilled BBQ Shrimp Skewer, Summer Squash soup and Shrimp Cocktail appetizers. They also had salad, but we went with the hot food. For the full menu choices, click here. Appetizers... the grilled shrimp had a dry bbq rub and was perfectly cooked (so many overcook shrimp). The shrimp cocktail sauce was done in-house and with less heat then St. Elmo to give you an indication. The summer squash soup was blended and made in-house (as are all soups, sauces and desserts). Entrees... included other items also, but we tried the 10 oz. (seemed bigger) BBQ Ribeye (medium well), smothered chicken and steak fries. The steak was dead-on accurate as a medium well temperature and the chicken was cooked precisely right, also. Smothered with provolone, onions and mushrooms really was a great combination and the steak fries were crisp, hot and big. (I loathe crinkle cut fries.) Fries, in the Midwest at least, is NOT the area to cut costs, so I was happy JT's didn't go the way of "cheap crinkles," as I refer to them. And, cross your fingers, owner Tim is considering breaking out gourmet fries in the near future. Desserts... In-house made cakes and pies. 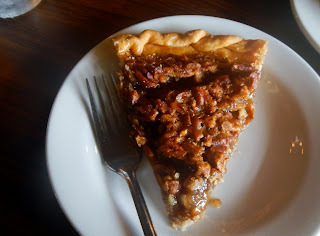 The pecan pie was chock full (yes, I said chock full) of pecans and had that tender crust we like so well in these parts. 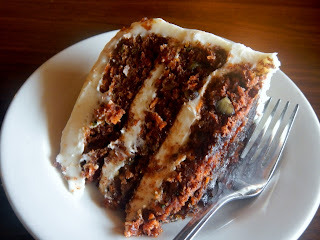 The German Chocolate cake was just missed by the last piece, so I opted for the in-house made carrot cake. Wow...okay. Wow. When you try a homemade version, you just cannot go back to a mass made one. 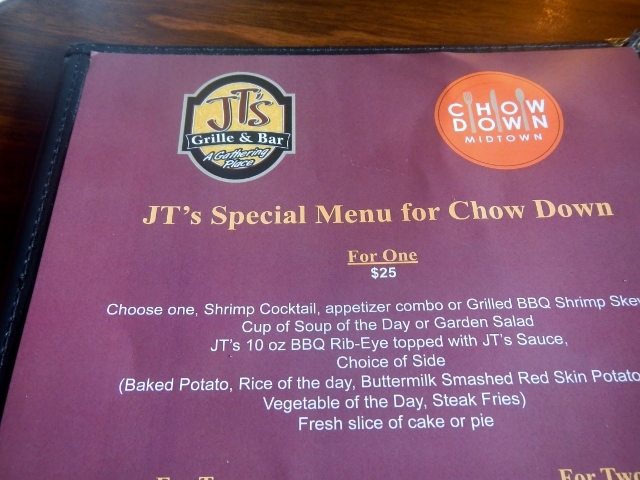 Bottom Line: JT's is one of my favorite restaurants reviewed for any of the food weeks I have covered over the years. It is good food made well with an eye on giving you your money's worth and more. This is the place to go for people who don't want to dress up and pay big bucks for a great meal. Indianapolis-area foodies will be able to chow down for the 3rd annual Chow Down Midtown June 10 – 23. Pasta, burgers, ribs pizza and more will be offered in three-course meals at special prices at more than 35 restaurants showcasing the diverse culinary experiences Midtown has to offer. Where: Midtown serves 65th St. to the north, Fall Creek Parkway to the south, Illinois St. to the west and Keystone Ave. to the east. Check back for reviews and to leave comments on your favorite restaurants and menu items. For menu options, visit chowdownmidtown.com. Also, updates will be listed on Facebook on the Chow Down Midtown page and on Twitter under the handle @chowdownmidtown. 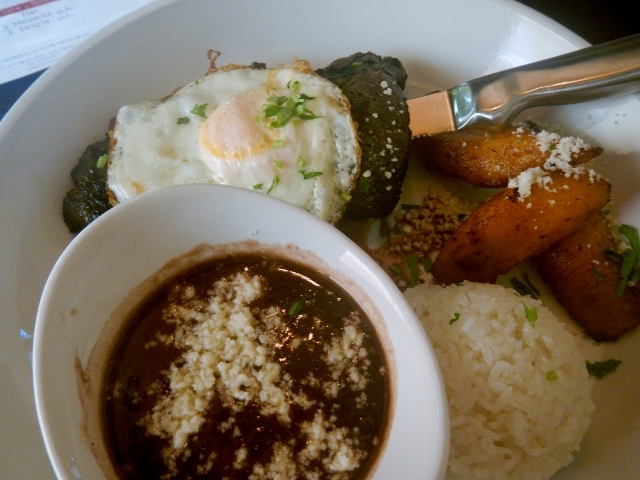 Delicia, the new "New Latin American" eatery is located in SoBro (South Broad Ripple), 5215 N. Indianapolis, and has been creating quite a buzz ~ as all new restaurants do in the Indy metro area. 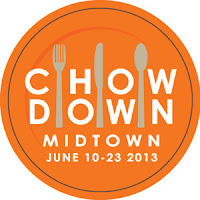 Chow Down Midtown, continuing through June 23, gives restaurants a chance to strut their stuff at a reduced price. 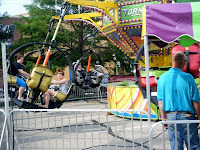 CDM covers the Broad Ripple and just north of Downtown area ~ the area between Northside Nights and Devour Downtown. Food: THE MENU~ if you are not a fan of salad, you won't like the first course as there are no appetizer or soup options on the CDM menu at Delicia. 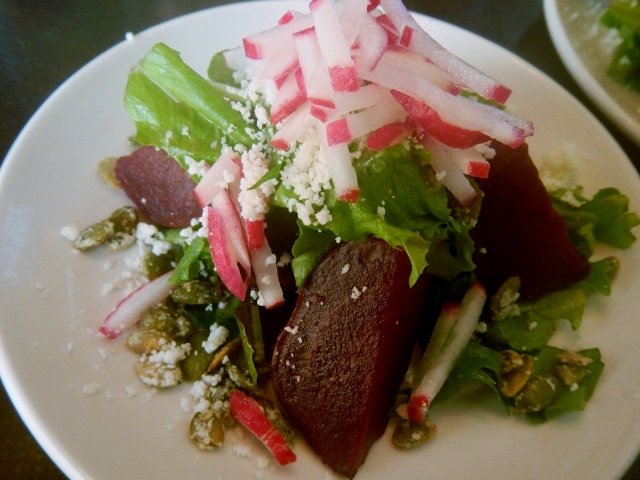 The ensaladas (salads) were well done, with a oil-based house dressing and two options: Beet Salad-jalapeno and sour orange marinated beets, candied pumpkin seeds, radish greens, queso fresco or De La Casa-field greens, red onions, tomato, queso fresco, orange-tamarind vinaigrette. A tasty, light plate of greens with varying textured extras. 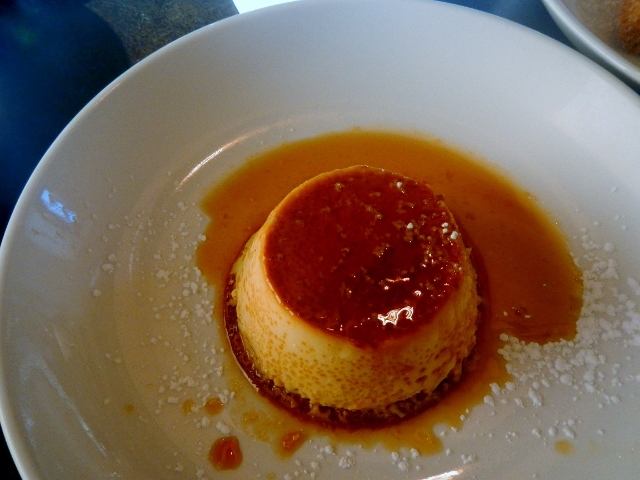 If you are not a fan of flan (vanilla, caramel, custard) for dessert, you are out of luck with that course, also. There is only the one sweet choice or two drink options for the third part of the meal. I tasted the flan, though, and found it to be superior to most restaurants with its texture, nice layer of caramel and balanced level of vanilla. I also ordered the churros with chocolate dip to test and found them crispy, hot and fine ~ nothing spectacular, nothing lacking. It's rather difficult to make churros badly or make them outstanding. 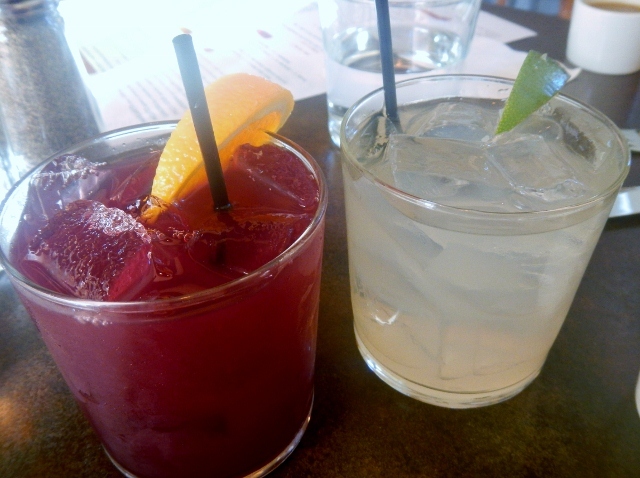 We tried the two drink options, Margarita and Sangria. I have had the pleasure of being at the bar section of the restaurant and know the mixologists are skilled and, if you go, you should try their Pisco Sour at least once. (*Side note-the Pisco Sour at Libertine is the best I have ever had, but this one runs a close second.) However, the margarita was rather flat and lacking in citrus appeal. The sangria, oddly enough, had a similar issue. They were just okay, disappointing as I like both drinks usually. The entrees are what stands out at Delicia on the limited menu: Tacos de Rajas con Queso-fire roasted poblano, red bell peppers, onions, corn, panela queso, cilantro-lime crema, herb green rice; Brazilian Shrimp Stew-roasted shrimp, coconut milk stew, tomatoes, green pepper, white rice; Enchiladas de Pollo-stewed chipotle chicken, tomatoes, onion, guajillo chile sauce, stewed black beans, herb green rice, and Bistec a la Pobre-8 oz skirt steak, fried egg, sweet plantains, stewed black beans, white rice. 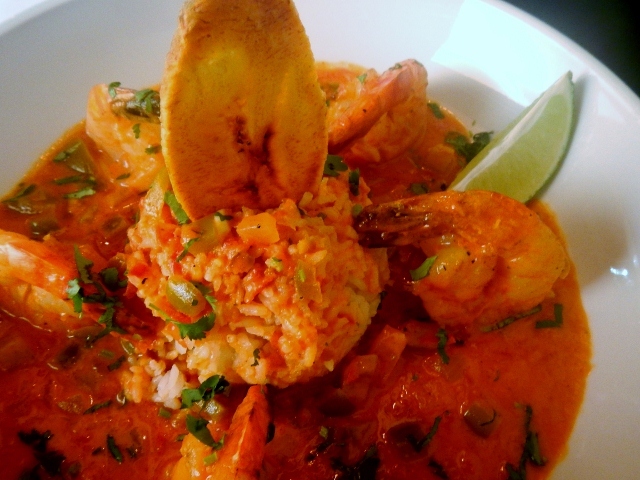 We went with the Bistec a la Pobre and Brazilian Shrimp Stew and were more than satisfied with both dishes. The rice is normal and unassuming, but the steak and the shrimp stew were delicious with the shrimp stew, in coconut milk, was positively addicting. In fact, I hope they add this dish to their regular menu. 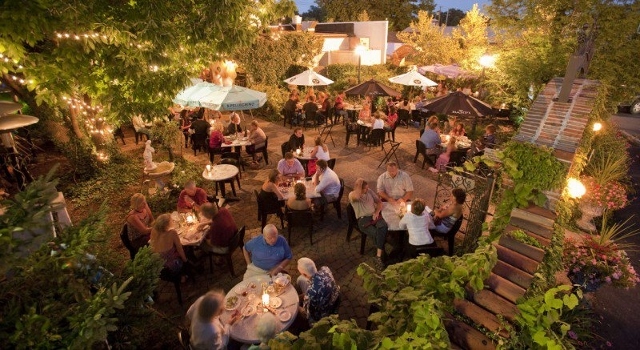 Atmosphere: About what you might expect from a near-Broad Ripple establishment. Casual upscale with the prices to match. Service: Fabulous-there has been chatter about the hit-or-miss service here, but I watched and found it to be better than many places. Certainly the friendliness and knowledge of product is high. Libations: I would definitely encourage this spot to offer many more options of wines by the glass and to double check their bartenders to ensure uniformity on the typical drink choices (margaritas, sangrias, etc). Will I return? : Absolutely~the regular menu and entree choices give great hope this will be a good Latin American cuisine spot in town ~ albeit the prices seem to need tweaking. Bottom Line: Chow Down Midtown is a perfect opportunity to trial-run, at reduced prices, Delicia, which offers tempting entrees and has much potential. 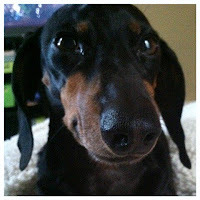 Because you love your pets and don't want to leave them at home all the time, I have located the top 10 best pet-friendly restaurants in Indianapolis. Indy eateries open their hearts ad outdoor eating areas to pets (and their parents) in increasing numbers. Below are ones that stand out from the rest. 4. Ralston's Drafthouse (Gastropub) Mass Ave.
Holy Rosary Catholic Church, 520 Stevens St., Indianapolis, will once again open its hearts and grounds to the festival lovers of Indiana. 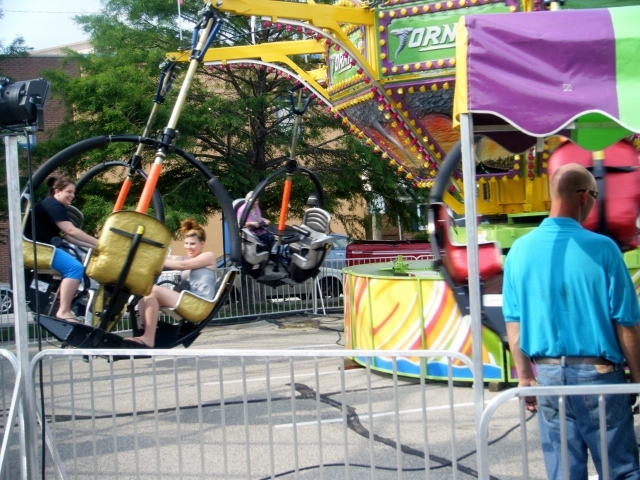 Having to cancel last year's event, the parish released a statement promising to come back this year with the beloved event. And they are fulfilling that promise. Located in the Fletcher Park neighborhood, the little parish that could is rolling out the red carpet with its annual fundraiser. 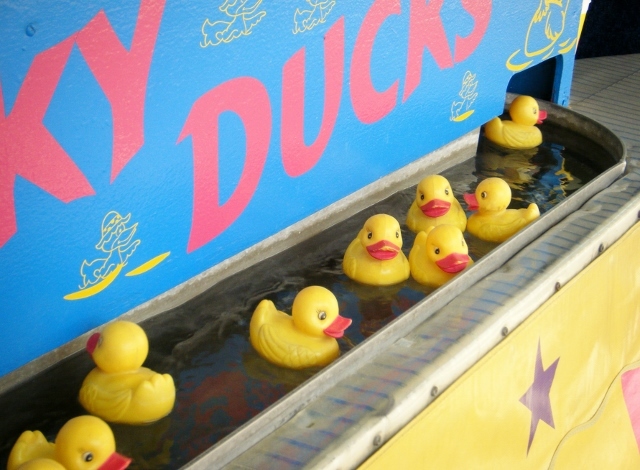 Families, friends and strangers will come together to raise much-needed money for the tiny church through food, drinks, snacks, games and rides. 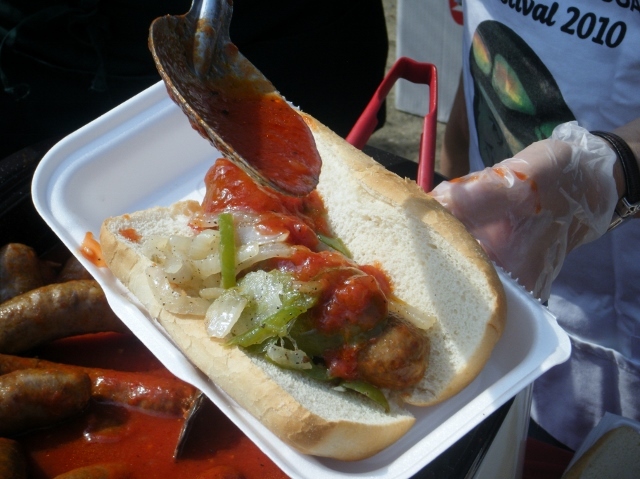 Every year dedicated volunteers roll up their sleeves (figuratively and literally) in the 90+ degree weather and the scorching sun to dish up meatballs, spaghetti and cannoli. 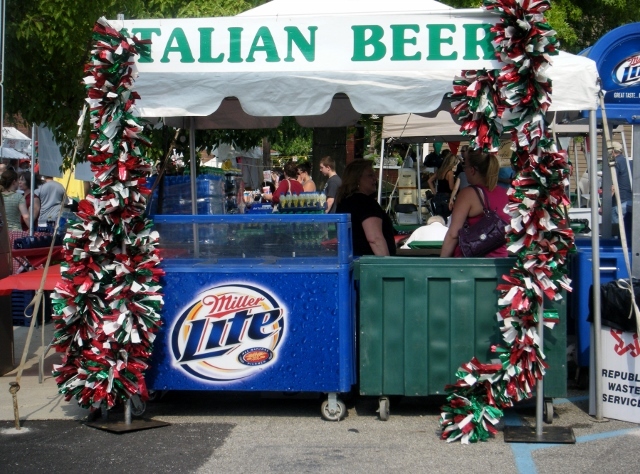 No good Italian festival is good without Italian beer and wine, however, and there wills plenty of beer chilling on ice and wine being uncorked. This year, two stages are added for musical entertainment in the form of the The Indy Nile Band and Cooking with Nonna on the main stage. A side stage will feature Theotokos. Note: The Italian Street Festival is held the 2nd weekend of June annually. The nine wineries of the Indiana Uplands Wine Trail are located throughout south-central Indiana. 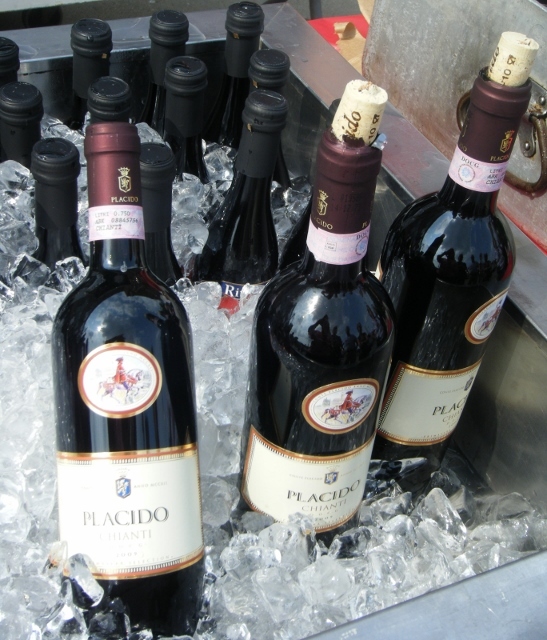 On Uncork the Uplands Saturday, July 27, in Bloomington, Ind., a chance to sample award-winning wines from the nine wineries on the trail paired with food from area restaurants and farms. Uncork features two signature events: a Vineyard Tour at Oliver Winery’s Creekbend Vineyard and the Uncork the Uplands Evening Reception. Details follow below. As of February 2013, the Indiana Uplands is a federally recognized grape-growing region, known as an American Viticultural Area, or AVA. The 4,800-square-mile swath in south-central Indiana is home to 17 wineries, including the nine wineries on the Indiana Uplands Wine Trail. This is the first AVA entirely within Indiana, and the designation allows our wineries to grow and thrive together. The entertainment continues with the Chef’s Food and Wine Challenge. Chefs from the Indiana Uplands create their favorite food and wine pairing. Guests vote, and the winning chef receives a donation for a favorite charity. Current chefs are from New Albanian Bank Street Brewhouse in New Albany, Malibu Grill in Bloomington, and a third restaurant TBA. 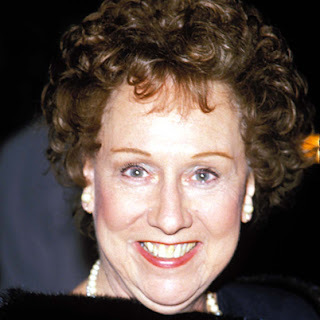 Jean Stapleton, (nee Jeanne Murray), actress of stage, screen and television, died Friday, May 31, in New York City of natural causes. Best known for her role of the naive, sweet and clueless Edith Bunker, wife to Archie on the long term sitcom (1971-'79) All in the Family, which held the No. 1 spot 1971-'76. Costars were Carroll O'Connor, Rob Reiner and Sally Struthers. Other television shows Stapleton appeared on are Car 54, The Patty Duke Show and Dennis the Menace. The Golden Globe and Emmy Award winning actress appeared in films including, opposite John Travolta in Michael and with Tom Hanks and Meg Ryan in You've Got Mail. The performer is survived by her two children, John Putch and actress Pamela Putch from a marriage to Jack Stapleton. Stapleton was 90.